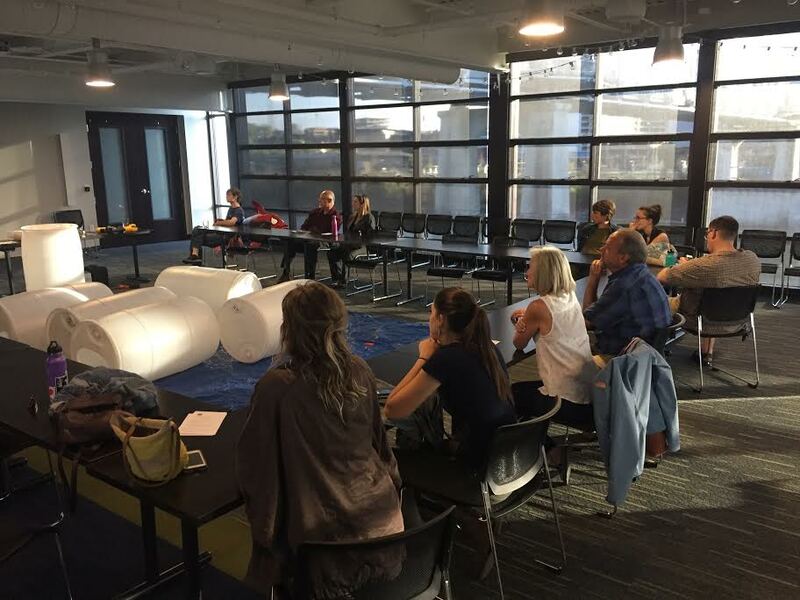 Through our partnership with Team Green Adventures, an offshoot of Nashville's independent radio station, Lightning 100, we co-organize a monthly community workshop focused on sustainability. Aimed to provide you with tools to make sustainable choices, in past workshops we've built rain barrels, crafted with up cycled materials, learned the art of backyard composting, made toothpaste, and learned about sustainability in Nashville parks. We partner with a range of local businesses and nonprofits including some of our favorite Nashville breweries, universities, and arts and environmental organizations. Our events list may change throughout the year so check out the events list on our Facebook page each month and see what we're up to. We can't wait to see you! In 2017 we brought participants on a Sustainable Tour of Radnor Lake State Park; made zero-waste toothpaste with Eternal Returns; learned how to make a rain barrel at Cumberland River Compact; and made Valentine's Day crafts at SmART! Supplies!